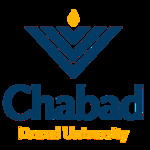 Chabad serving Drexel UniversityRohr Jewish Student Center. Mezuzot for Gilad Fall Term Roudup! Moussia's Kitchen/Formal Shabbat BLT - Bagels, Lox n' Teffilin Moussia's Kitchen - Loaves of Love 2/9/12 Pickle Making! Yeshiva Kabob Night - Feb. 24 Spa Night PURIM in The Jungle! Sinai Scholars graduation trip! Kick Off Festival! Drexel Jewish Life Carnival! S'mores in The Sukkah! Sushi in The Sukkah Rosh Chodesh Club - Think Pink! Cookies for Cancer Yeshiva Night NYC Shabbaton 2012 Tu B'shvat Rosh Chodesh Club Midnight Breakfast - Chanukah Bash! Welcome BBQ Pre and Post Yom Kippur Sukka Building and Moussia's Kitchen! Sukkot All Around! Yeshiva Night Behind Enemy Lines Chanuka: CANorah! Chanuka: Grand Menorah Lighting Chanuka: Latkeh Making Chanukah Round Up! Five Year Celebration Welcome BBQ Lulav Shakes on Campus! Operation Thunderbolt - Guest Speaker JHP Hamantashen and Challa baking Week (9) in Review; Pre-Purim! Purim! Spring! Shabbat 200 2017 Shabbat 200 2017!